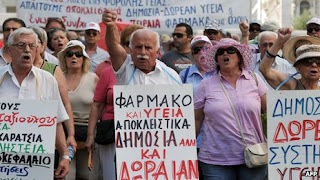 Is Greece the Future of Pensions? In the heat of a June night, Eleni Spanopoulou found her audience at an Athens hotel turning ugly. Mutiny and violence hung in the air. For hours the leader of the Greek journalists' social security fund had been chairing a meeting about disastrous losses on retirement savings caused by the country's economic collapse. "She tried to present herself as the fund's savior and asked (members) to double contributions to 6 percent of salaries," said one of those present that night at the Titania hotel. Spanopoulou, 58, did not succeed. When she rose to leave around midnight, enraged fund members first swore, then waded in punching, kicking and tearing at her clothes, according to witnesses. A bodyguard managed to bustle her out of the room, but another group caught her just outside the hotel and gave her a second beating. She spent the night in hospital. The California Public Employees’ Retirement System is seeking to sue bankrupt San Bernardino over missed pension payments, the second potentially precedent- setting fight the fund picked with a California city this year. San Bernardino can’t use U.S. bankruptcy law to justify its failure to make at least $5 million in payments, Calpers, the biggest U.S. public-employee pension fund, said in court papers filed Nov. 27. 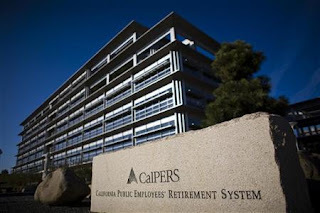 The motion relies on arguments the fund is also making in the bankruptcy of Stockton, California, and may be a warning to other cities struggling with high pension costs, said James E. Spiotto, a bankruptcy attorney and partner at Chapman & Cutler LLP in Chicago. “You don’t know if they are trying to send a message to others through San Bernardino, which is to be respected,” Spiotto said yesterday in a telephone interview. Caisse Thinks Bond Party Is Over? The bond party is over – this according to one of Canada’s biggest pension fund managers, which plans to cut back significantly on its fixed income holdings. 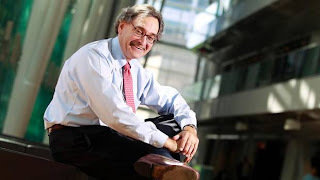 “Over the last three to four years returns on fixed income have been amazing – almost equity-like,” Michael Sabia, chief executive of the Caisse de dépôt et placement du Québec, told the Financial Times. “Our view on this is that the party is over, that therefore the eight to nines [per cent yield] we were earning are going to be replaced with twos, threes, maybe fours,” Mr. Sabia said. The Caisse de dépôt manages more than $160-billion in private and public pension and insurance funds in Quebec. It is a big investor in British infrastructure, including a 13.3 per cent stake in Heathrow Airport and a 50 per cent stake in South East Water. Clinching a Lasting Greek Deal? The Greek government and financial markets were cheered on Tuesday by an agreement between euro zone finance ministers and the International Monetary Fund to reduce Greece's debt, paving the way for the release of urgently needed aid loans. The deal, clinched at the third attempt after weeks of wrangling, removes the biggest risk of a sovereign default in the euro zone for now, ensuring the near-bankrupt country will stay afloat at least until after a 2013 German general election. 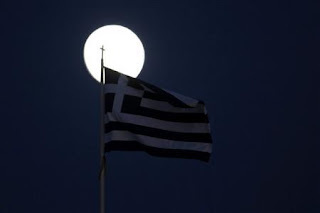 "Tomorrow, a new day starts for all Greeks," Prime Minister Antonis Samaras told reporters at 3 a.m. in Athens after staying up to follow the tense Brussels negotiations. Some of the world’s biggest private-equity firms have stepped up their presence in Southeast Asia this year, eager to benefit from the region’s growth. 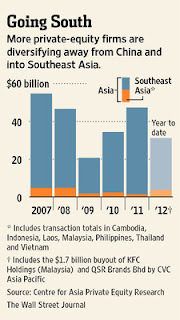 But even as the value of transactions surges, the region remains a tough place to make a deal. One key reason: Valuations are rising quickly as competition heats up for assets. Companies, particularly those in Japan and Korea, are looking there for growth, more so as growth stalls in India and China, say bankers and deal makers. These buyers are often happy to pay more than private-equity investors. “Our competition is very rarely private equity. Our real competition is strategic buyers,” as firms in similar industries are called, said Rodney Muse, managing partner of Kuala Lumpur-based Navis Capital. Bankers Jumping Ship to Hedge Funds? The hedge fund industry is expected to see a wave of new launches in the next year by traders who have lost their jobs at investment banks or who have left in search of better pay. The start-ups are expected despite the unimpressive performance of other new ventures and questions about where they will find new capital to finance them. New rules banning U.S. banks or those with U.S. subsidiaries from risky but potentially profitable proprietary trading are also encouraging some traders to make the move. Mitt Romney's U.S. presidential election defeat means little chance of the wider regulatory bill being repealed, as he had promised. Denying Pension Benefits to Gay Couples? Let Them Eat Cat Food? Insurers Carving Out the Pension Turkey? The End of European Solidarity? Going Over the Pension Cliff? Pooled Pensions Remain a Dream? Ontario Set to Pool Pension Assets? Canadian Pensions Flying Off Course? Prepare For 'Seismic Shift' in Japan? CPPIB's Joint Ventures In Brazilian Real Estate? bcIMC Slammed Over Unethical Investments? 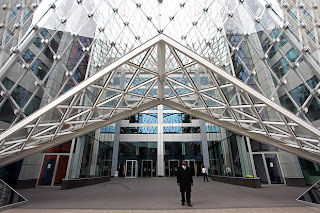 Will Protectionism Stifle CPPIB's Expansion? One For Brave Investors and Soldiers? OTPP Sinks Teeth Into Private Equity? Will California Bankruptcies Rock Munis? PE Having a Hard Time Defending Itself? Hedge Fund Masters Flunking the Test? Hyping Up Hedge Fund Hipsters?